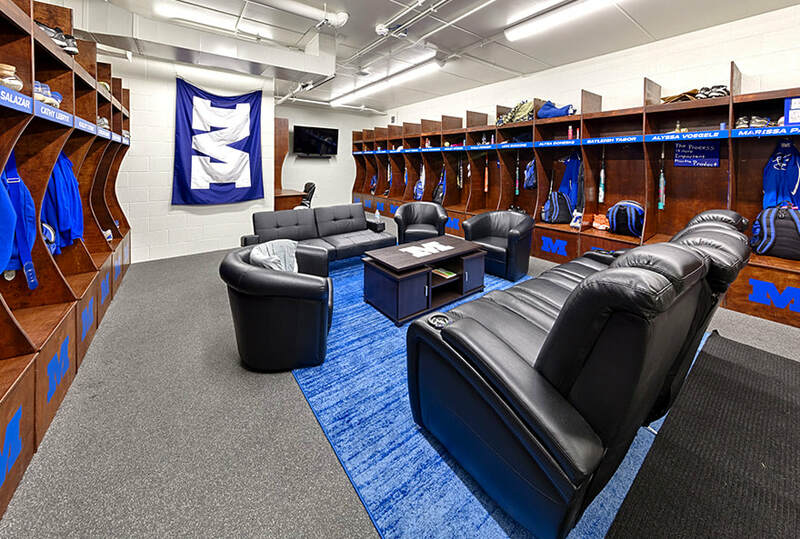 Named in honor of Illinois College alumnus Charlie Bellatti ‘49, the Bellatti Fitness Center was upgraded with the entire campus community in mind. The weight room includes eight full racks, free weights and various other equipment for team and individual weight training. The cardio room contains five treadmills, three elliptical machines, three Adaptive Motion Trainers, two rowing machines, two upright bicycles, two recumbent bicycles and a stair-climbing machine. The resistance-machine room has a variety of machines and dumbbells, allowing for a full-body workout. The Bellatti Fitness Center was upgraded with the entire campus community in mind. Branded environments connect with students. 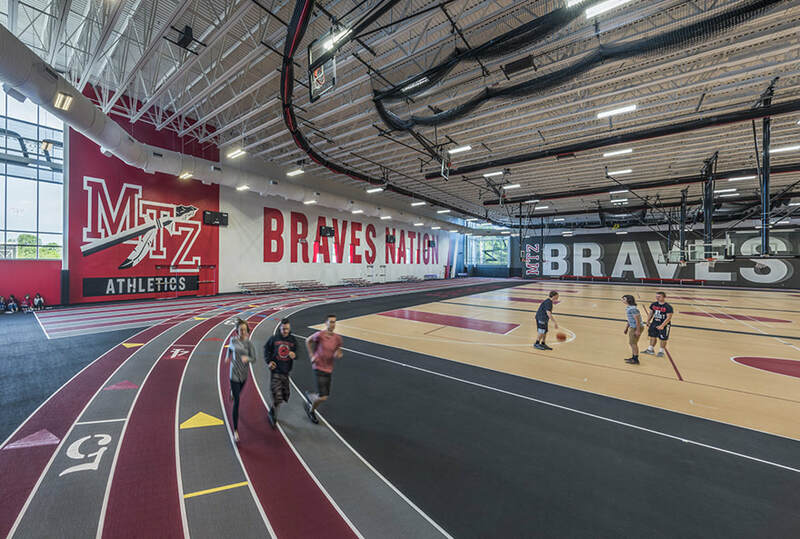 The athletic space was redefined with branding to increase student engagement. Branding helped to create a sense of pride, connecting student to place with experiences.